Administrative Law Judge (ALJ) Darrell L. Lepkowsky, Office of Administrative Hearings (OAH), State of California, heard this matter in San Juan Capistrano, California, on December 8, 10, 11, 12, 15, and 16, 2008. Advocates Vikki Rice and Dr. Susan Burnett represented Student’s Mother, who attended three days of the hearing. Student was present at hearing on the afternoon of December 11, 2008, when he testified on his behalf. Ricardo Soto, Attorney at Law, represented the Capistrano Unified School District (District). He was joined briefly on December 11, 2008, by attorney Airionna Whitaker from his law firm. District Legal Specialist Kim Gaither attended every day of hearing except for the morning of December 15, 2008, when program specialist Leisa Winston was present on the District’s behalf. Student, through his Mother, filed an initial request for a due process hearing on March 26, 2008. 1 He filed a second amended complaint on May 30, 2008. OAH granted the parties’ motion for continuance on July 2, 2008. At hearing, the matter was continued to allow for written closing arguments by January 5, 2009, when the record was closed and the matter was submitted. 1 Student’s original complaint was filed before he turned 18. Student’s first and second amended complaints were filed after he turned 18. No party has contested either Student’s or his Mother’s standing with regard to the filing of the complaints in this case. 2 The issues are those determined at the prehearing conference in this matter held on October 29, 2008, with the exception of Issues II and III as identified in the order following prehearing conference. Student withdrew issues II and III in his written closing argument. 3 At hearing, Student raised a contention that the District had failed to provide him and his Mother with access to his school records. The District responded that it had agreed to provide access to the records but would only provide a copy if Mother paid for the copying costs. The ALJ ordered that the District provide a time during the hearing for Mother and her advocates to review the records, specifically to determine if the records for which they already had copies were incomplete. The District provided the access. Student did not indicate that he was missing any of his records. Student again raised the issue in his closing brief, requesting that the ALJ order the District to provide him with a copy of his records. Since the issue of access to his records was not raised as an issue for hearing in the prehearing conference order, and therefore not addressed by the District at hearing or in its closing brief, the ALJ declines to address the issue in this Decision. 6 Ms. Pliha has a Master of Sciences degree in Education, with an emphasis in reading, and a Masters of Arts degree in Communicative Disorders, both from California State University, Fullerton. She has over 40 years of experience as a teacher both in regular and special education, and over 20 years of experience as a reading specialist and speech pathologist. 7 Federal statutes and regulations refer to testing for special education purposes as an “evaluation.” California statutes and regulations refer to the same testing as an “assessment.” Although many of the assessments administered to Student were described as “evaluations” by the person administering the test, for the sake of uniformity the ALJ will refer to such testing as “assessments” pursuant to the terminology employed in California. 8 There is no evidence that Fast ForWord could have been provided directly by District personnel to Student. 9 See Education Code sections 56035 and 56366. 10 The parties did not stipulate, and Student does not allege, that he should have received speech and language services during summer 2006. 11 The term used under California statute for related services is designated instruction and services or “DIS.” (Ed. Code, § 56363, subd. (a).) The ALJ uses the terms interchangeably in this Decision. 13 Nor has Student presented any evidence that the District failed to give his mother “accurate” information about any issue related to Student’s special education needs or in any other way deliberately misrepresented facts or information to her. C) Tutoring in mathematics three times a week for one hour each session. 2. Whether the District violated the Individuals with Disabilities Education Act (IDEA) and Education Code sections 56400, subdivisions (c) and (d), and 56363, subdivision (b)(11), by failing to offer his Mother counseling and training, and access to accurate information, specialized training, and peer-to-peer community support. A) Failing to give Student prior written notice of the reasons why the District was refusing to implement Student’s IEP with regard to Fast ForWord, tutoring in mathematics, and/or provision of speech and language services, for the IEPs dated April 6, 2006, April 26, 2006, May 26, 2006, September 28, 2006, January 5, 2007, and September 11, 2007. B) Failing to have an appropriate IEP team member present at the April 6, 2006 IEP team meeting who was qualified to interpret the educational implications of the District-funded assessment conducted by Maria Abramson. C) Failing to ensure the presence of an administrative designee with authority to approve services recommended by Student’s IEP team at the May 26, 2006 IEP team meeting. D) Failing to provide Student’s Mother with reports of his progress on goals and objectives at any time from March 26, 2006, until the present. In his closing brief, Student requests that the ALJ order compensatory education in the areas of Fast ForWord, speech and language, and tutoring in mathematics, for three hours a day, five days a week, for a period of two years, which Student contends would bring him closer to grade and age level in functional skills. Student also requests that the ALJ order the District to reimburse his Mother for her out-of-pocket expenses, including expenses related to hiring her advocates who provided Mother with the counseling and training that should have been provided by the District, and reimbursement for costs of transportation to and from the advocates’ office. Student contends that the District substantively denied him a FAPE when it failed to implement his IEPs during the 2006 – 2007 and 2007 – 2008 school years. Specifically, Student asserts that the IEPs in question offered him a reading program called Fast ForWord, to be provided by a certified speech pathologist through a non-public agency (NPA) but that the District never provided Student with access to those services. Student further contends that his IEPs offered him speech and language services, first for one 55-minute session a week, and later for two 45-minute sessions a week, but that the District never provided Student with the specified speech and language services. Finally, Student contends that his IEPs required the District to provide him with math tutoring three times a week but that he was never provided with any tutoring. Student also alleges that the District was required to offer his Mother counseling and training, and access to accurate information, specialized training, and peer-to-peer community support, all of which it failed to offer. Student also alleges that the District committed several procedural violations that denied him a FAPE. Student alleges that the District failed to give his Mother prior written notice of the reasons why it would not fully implement his IEP, failed to have an appropriate IEP team member present at the April 6, 2006 IEP team meeting who was qualified to interpret the educational implications of a District-funded assessment, failed to have a District administrator present at the May 26, 2006 IEP meeting who had authority to approve services offered by the District IEP team members to Student, and failed to provide Student’s Mother with reports of his progress on goals and objectives at any time from March 26, 2006, until the present. The District denies that it failed to implement Student’s IEPs. It acknowledges that Student’s IEPs provided him with speech and language services, Fast ForWord through an NPA, and math tutoring. However, the District contends it attempted to provide Student with all services indicated in his IEPs but was unable to do so through the actions, or lack thereof, of Student and/or his Mother. Additionally, the District contends that even though Student did not receive the services he did not demonstrate any loss of educational benefit because Student successfully passed both the English and Mathematics sections of the California high school exit exam (CAHSEE) and graduated high school with a regular diploma. The District made no contentions in its opening statement at hearing or in its closing brief with regard to the procedural violations alleged by Student. 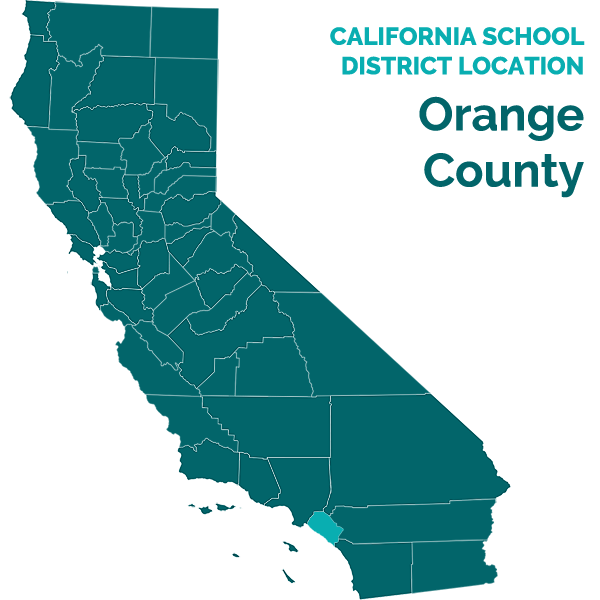 With regard to Student’s requested remedies, the District contends that Student has not shown that he is entitled to compensatory education because he was able to successfully pass the CAHSEE and graduate from high school without additional services. The District further contends that Student’s mother is not entitled to reimbursement for fees paid to Dr. Burnett which were in the nature of advocacy services, which cannot be reimbursed, rather than parent training services. 1. Student, who turned 18 on April 2, 2008, has been eligible for special education and related services since he was approximately seven years old. Student was first found eligible under the classification of specific learning disability (SLD). On December 1, 2006, Student’s IEP team changed his primary eligibility from SLD to traumatic brain injury (TBI). Student remained eligible for special education until his graduation with a regular diploma from San Clemente High School on June 18, 2008. Student is now attending community college. During the entire time he was eligible for special education services, Student resided with his Mother in the District’s boundaries. 2. Student was first assessed for an auditory processing deficit in 2004 by audiologist Maria Abramson. Ms. Abramson recommended that Student receive basic auditory training in conjunction with the Lindamood-Bell 5 reading program he was scheduled to receive from the District in order to address his auditory processing deficits. The District provided Student the program as recommended by Abramson. In 2005, Student filed a due process complaint against the District with the Special Education Hearing Office (SEHO), the predecessor to OAH. Student and his mother were represented by an attorney in the proceedings. The parties entered into a settlement agreement with regard to this due process complaint. As a result of the settlement, the District agreed to fund a central auditory processing disorder assessment for which it again contracted Abramson. Abramson found that Student continued to have auditory processing deficits. 3. Student has had difficulty with academics since he was first found eligible for special education. Although originally determined to have an average intelligence quotient (IQ), Student continued to fall more and more behind his grade level in mathematics and reading. 4. For example, the District administered the Woodcock-Johnson III (WJ III) assessment test to Student approximately every three years he was in school as part of his triennial assessments. While Student’s test scores indicated he was six months behind grade level in broad mathematic skills based on the WJ III when he was tested at grade 2.7, by the time he was tested at grade 11.2, Student was only performing at grade level 6.6, which was 4.6 years behind grade level. In broad reading, Student was 1.3 years behind grade level when tested on the WJ III at grade 2.7, but tested at 6.4 years behind grade level when tested on the WJ III at grade 11.2. 5. Prior to March, 2006, before the time period covered by the statute of limitations in this case, the District aggressively addressed Student’s reading needs, including providing him with the Lindamood-Bell reading program through a non-public agency, and providing him with basic auditory training. However, other than accommodations in the classroom, the District did not specifically address Student’s difficulties in mathematics prior to the time period covered by the instant case. Additionally, although Student had received speech and language services up to approximately third grade, the District did not again offer those services to him until 2006. 6. The CAHSEE consists of two sections: an English Language Arts section and a Mathematics section. Student took the CAHSEE several times during high school. He passed the English Language Arts section in November 2007, with a score of 365. Student passed the Mathematics section in February 2008, also with a score of 365. Student was able to pass the Mathematics section without using a calculator, which would have been permissible under the testing protocols. 7. A student with exceptional needs is legally entitled to a free appropriate public education that addresses those needs. Under state and federal law and federal precedent, one of the factors used in determining whether a school district provided a FAPE to a student is whether the services it provided to the student conformed to his or her IEP. A failure to implement any provision of the IEP violates a student’s right to a FAPE where the failure has been determined to be material. A student does not have to demonstrate that he or she suffered educational harm in order to prevail on a claim that a district failed to implement his or her IEP. 8. Student contends that the District offered him the Fast ForWord reading program in his IEP dated June 7, 2006, but thereafter failed to provide him with the full amount of sessions it offered to him. The District asserts that it provided the program to Student pursuant to his IEP by reimbursing Mother for the costs of the private provider selected by Mother since it had no ability to legally enter into a direct contract with the provider, who was not yet certified by the State of California as a non-public agency. The District further contends that once the provider obtained the proper certification, it signed a contract with her but that Student thereafter failed to contact the provider to arrange attendance at the program. 9. Speech pathologist Barbara Pliha, 6 who is presently the Director of the Reading & Language Center, a non-public agency, administered a speech and language assessment to Student in February 2006. Pliha’s report references an auditory processing assessment administered to Student in January, 2006, by audiologist Maria Abramson, in which Abramson found that Student continued to suffer from auditory processing deficits. Pliha’s report indicated that Abramson recommended that Student receive the Fast ForWord reading program, which trains in perception of fine grain acoustic differences, which is necessary for fluent reading decoding skills. 10. Pliha tested Student in the areas of receptive and expressive language skills using the Comprehensive Assessment of Spoken Language (CASL). Student’s composite scores on the CASL ranged from below average to low average. Neither the administration of this assessment nor the results obtained by Pliha are at issue in this proceeding. 11. Pliha noted in her report that Student’s spoken language with regard to articulation skills and speech intelligibility were within normal limits, having improved without any apparent intervention since Student was assessed by the Reading & Language Center in December 2004. 12. However, Pliha also noted that Student was functioning in the very low average range in core language skills, with his syntactic skills being the weakest. Pliha stated that Student’s deficits in syntactic and semantic skills impacted his knowledge of grammar rules and word order in both written and oral communication. She stated that the test scores indicated that Student also had deficits in supralinguistic language (making inferences and interpreting ambiguous statements). Pliha recommended that Student receive direct speech and language instruction to address these deficits since improvement in the areas of deficit would affect Student’s verbal and written expression as well as reading comprehension. 13. Pliha also recommended, in accord with audiologist Abramson that Student should complete the Fast ForWord program to target auditory processing of information, auditory processing of linguistic information at the syllable, word, and sentence levels, auditory memory, and reading decoding and comprehension. Pliha opined that the computerized format of Fast ForWord would probably be the most acceptable form of intervention for Student. 14. Abramson’s January 2006 report and Pliha’s February 2006 report were reviewed by Student’s IEP team at an IEP meeting on April 6, 2006. Mother requested that the District provide Student with the Fast ForWord program pursuant to the recommendations of both Abramson and Pliha. The District did not reject the recommendations at this meeting; rather, the District stated that it needed to evaluate Pliha’s report and also wished to get further testing from her. The IEP team agreed to continue the meeting to a later date. 15. Pliha administered a post instruction academic assessment 7 to Student on May 4, 2006. She administered the Comprehensive Test of Phonological Processing (CTOPP), the Lindamood Auditory Conceptualization Test – Third Edition (LAC-3), one subtest of the Woodcock Reading Mastery Tests – Revised (Form G), the Gray Oral Reading Test – Fourth Edition (GORT-4), and the Gates – MacGinite Reading Tests, Fourth Edition (Level 7/9, Form T). 16. Pliha noted that the purpose of the testing was to compare Student’s present reading skills with the results of testing prior to his receipt of reading intervention from the Lindamood-Bell program which Student had received through the Reading & Language Center. Pliha noted that Student showed improvement in phonological awareness, word attack skills, auditory processing/phonemic awareness of the number and order of speech sounds in one – syllable words, and in phonemic and syllable changes in multi – syllable words. However, Pliha’s testing also indicated that Student’s reading scores on the GORT-4 in the areas of rate, accuracy, and comprehension did not improve. Student’s rate and accuracy remained unchanged while his comprehension scored had regressed. Student showed some improvement in fluency. Based on the reading intervention, Student’s reading equivalency had improved from fourth grade to fifth grade, still well behind his actual grade level of late 10th grade. Pliha noted that Student’s continued limited reading skills would continue to negatively impact his learning in content–area school subjects. 17. Based on her initial testing of Student in February 2006, as well as the post– academic assessments she administered to Student in May 2006, and Abramson’s recommendations, Pliha continued to recommend that Student complete the Fast ForWord program. 18. Student’s IEP team reconvened on May 26, 2006, for the purpose of reviewing Abramson’s audiology report. Mother credibly testified, and District speech pathologist James Blinn (present at this meeting as the District’s administrative representative) acknowledged in his testimony, that the primary issue regarding Abramson’s report was her recommendation that Student receive Fast ForWord to address his auditory processing issues. Blinn presented the report to the IEP team. Pliha was also present at the meeting and discussed her assessments of Student and her recommendation that she too believed Student would benefit from the Fast ForWord program. 19. The District did not reject the recommendation that Student receive Fast ForWord. Rather, Blinn informed the IEP team that he was not in a position to approve provision of the program that day, but that the District would review the recommendations and let Mother and her advocate know its decision at a later date. Student’s advocate pointed out that Student had been requesting the program for at least two years and had yet to receive it from the District or be given the reasons why the District would not provide it. 20. At hearing, the parties stipulated to the fact that the District offered to provide Student with the Fast ForWord program at the IEP meeting the parties convened on June 7, 2006, as a continuation of the earlier IEP meetings. The District offered to provide Student with 30 sessions of the program during summer of 2006 for the Extended School Year, with a proposal to review Student’s needs at the end of the 30 sessions. The District originally wanted Pliha, who is a speech pathologist whose NPA had been providing Student with the Lindamood-Bell reading program, and who was qualified to provide Fast ForWord, to provide the services to Student. Mother, however, objected to using Pliha’s NPA. Although she was very happy with the NPA and thought very highly of Pliha, the NPA was located at some distance from Student’s home and it was a hardship for Mother to transport Student every day even though the District had reimbursed her for mileage costs. 21. Mother therefore suggested that the District use speech pathologist Cathy Johnson, the owner of another agency called the Speech, Language and Learning Center (Learning Center), which also provided the Fast ForWord program to students with reading and auditory processing deficits. Johnson, the owner of the Learning Center, has both a bachelor’s degree and a master’s degree in communication disorders, and has been owner of the Learning Center since 1993. She has substantial experience as a speech pathologist and was qualified to provide Fast ForWord. The difficulty for the District, however, was that Johnson’s agency was not certified by the California Department of Education. Under the Education Code, in order for a school district to provide services to a student through a private agency, the district must enter into a master contract with that agency, and may only do so if the agency has been certified by the Department of Education. Since Johnson’s agency had not been certified, the District was unable to legally contract with her. 22. Nonetheless, the District informed Mother that it would agree to provide the program through the Learning Center by reimbursing Mother for the costs of the program if she would agree to front them. Although Mother accepted the District’s offer of the Fast ForWord program with regard to the number of sessions offered, she objected to the reimbursement proposal at this meeting because it meant extreme financial hardship to her, particularly given the high cost of the program, and therefore refused to agree to the District’s offer. However, Mother neither agreed at the June 7, 2006 IEP meeting to use Pliha’s NPA, which was certified by the state, and therefore able to enter into a direct payment contract with the District, nor did she offer any other suggestions for other NPAS that could provide Fast ForWord to Student. 8 Mother also requested that the District reimburse her for mileage costs associated with transporting Student to the Learning Center. 23. Mother had a change of heart during Student’s summer break and began taking him to the Learning Center to receive the Fast ForWord program, which she paid for herself. Student’s IEP team convened a meeting on September 28, 2006, a few weeks after Student returned to school from summer break. At hearing, the parties stipulated to the fact that at this meeting the District offered to reimburse Mother for 60 sessions of Fast ForWord, along with mileage reimbursement for transporting Student to the sessions. The parties further stipulated that Mother agreed to this offer on or about October 30, 2006. Although there were delays in reimbursing Mother for her costs, there is no dispute that she was ultimately reimbursed for both the costs of the sessions for which she paid as well as for the licensing fee she had to pay so that the Learning Center could provide the program to Student. 24. Student’s IEP team reconvened on November 6, 2006. The team noted that Student had completed 30 sessions of Fast ForWord, and reiterated that Mother would be reimbursed for the sessions as well as for her mileage costs. Significantly, the team also noted that Student displayed adequate progress in the program and agreed to provide Student with an additional 30 sessions. However, Mother was not financially able to continue pre-paying for the program. 25. Student’s IEP team reconvened again on January 5, 2007. Student’s advocate noted that Johnson was in the process of applying for state certification as an NPA which she expected to occur within 30 days of the meeting. 26. Johnson obtained the certification as an NPA some time after the January 5, 2007 IEP meeting. The District thereafter contacted her to arrange for Student to receive the additional 30 sessions of Fast ForWord. The record is unclear exactly when Johnson signed an individual services agreement with the District to provide the program to Student. The District entered two exhibits into evidence that purport to be contracts with Johnson and the Learning Center. The first (District’s Exhibit 25) provides for 16 sessions of Fast ForWord, for 50 minutes a session, to be provided to Student between February 6, 2007, and June 30, 2007. The second contract (District’s Exhibit 26), provides for 16 sessions, also of 50-minute duration, to be provided to Student between July 1, 2007, and November 5, 2007. The problem is that both exhibits include the same second page, which indicates that the District’s governing board approved the contract on July 16, 2007, and which indicates that the District representative signed the contract on July 10, 2007, and that Johnson signed on July 16, 2007. Neither Johnson nor any District witness was able to clarify this discrepancy when queried about it at hearing. 27. However, what is clear from the evidence at hearing is that the second group of 30 sessions of Fast ForWord was never provided to Student. After being contacted by the District and after signing the contract, Johnson informed the District that she would have to pay another licensing fee to the company which owned the Fast ForWord program because she was required to pay a separate fee each year for each student who accessed the program. The fee is approximately $800. The District does not dispute that the licensing fee was required, that the fee had previously been paid by Mother who had subsequently been reimbursed for it, along with the program costs, by the District, or that the contract signed by Johnson and the District only covered the hourly costs of the program and did not reference the licensing fee. 28. Johnson credibly testified that she informed Mother of the problems with the licensing fee and that she contacted the District and informed them of the problem but did not hear back from them regarding payment of the fee. 29. District Witness Anne DelFosse, who has been the District’s Director of Special Education since 2008, was formerly the District’s Director of Speech Services. She testified that after Johnson informed the District of the necessity of paying for the licensing fee before Student could continue to receive the second sessions of Fast ForWord, DelFosse telephoned Johnson and informed her that the District would pay for the fee if Student showed up to attend his sessions. As discussed in more detail below, Student had a history of refusing to access special education services, of canceling or not showing up for services, and of not attending classes. DelFosse testified that she did not want the District to have to pay an expensive licensing fee if Student was not going to access the Fast ForWord sessions. 30. However, DelFosse’s testimony is in direct conflict with the argument the District made in its closing brief. There, the District relies on the directives of the Education Code to support its position that it could not directly pay Johnson for the Fast ForWord sessions before she was certified as an NPA, citing to the Education Code sections which require a school district to enter into a master contract with an NPA, as well as enter into an individual services contract for the specific student, before a district can pay the NPA for its services. 9 If the District could not directly pay Johnson before she was certified, and if it was required to enter into a master contract and individual services contract with her, which had to be approved by the District’s governing board, it is not plausible that Ms. DelFosse would have the authority to orally bind the District to pay an $800 licensing fee without the formality of amending the contract with Johnson. Ms. DelFosse’s testimony therefore is ultimately unpersuasive that the District orally agreed to pay Johnson the fee once it was informed that Student was, in fact, showing up to receive the Fast ForWord instruction. 31. Additionally, the District’s position is unpersuasive because it does not contend that it ever informed Mother either orally or in writing that it would agree to pay for the licensing fee. Nor is there any indication that payment of the licensing fee was ever discussed at any of Student’s subsequent IEP meetings. Assuming that DelFosse informed Johnson of the District’s willingness to pay the fee if Student accessed the Fast ForWord program, Mother was never informed of this fact. Even if DelFosse had contacted Johnson, it appears that DelFosse expected Johnson to communicate this information to Mother. However, Johnson had no obligation to do so, and there is no reason why Mother would have accepted this representation without confirmation of some sort from the District, particularly in light of the fact that the District had adamantly refused to directly pay Johnson before she was certified because it could not sign a contract with her. 32. The weight of the evidence therefore supports Student’s contention that the District failed to implement his IEP by failing to provide him with the second set of 30 sessions of Fast ForWord as offered. 34. The District asserts that it attempted to provide the speech and language sessions offered at the January 5, 2007 IEP meeting through speech and language pathologist Michael DelFosse, but that Student refused to attend the sessions. The weight of the evidence supports this contention. 35. DelFosse started teaching at San Clemente High School in January 2007. He attended Student’s January 5, 2007 IEP meeting. DelFosse give clear, direct testimony, and was a very credible witness. He testified that he expressed concern at the IEP meeting that the IEP team was offering Student speech and language sessions before it had developed speech and language goals for him. However, the team determined to offer the services, and DelFosse agreed to provide them. He felt that he would meet with Student, perhaps administer some speech and language tests to him, and then develop goals and objectives that would assist him in determining exactly what Student’s specific unique needs were in the area of speech and language, particularly since DelFosse had extensive background dealing with people, like Student, who had suffered a traumatic brain injury. DelFosse also proposed to meet with Mother after having met a few times with Student, in order to discuss possible speech and language goals for Student. 36. DelFosse’s normal procedure with the students to whom he provides services is to send out what is known as a “call slip” to see the student. He sends the slip to the school office, with the time he wishes to see the Student, and the office then forwards the slip to the student who then is excused from that particular class period in order to meet with DelFosse. DelFosse sent call slips out for Student several times after January 5, 2007, but Student never showed up at DelFosse’s office or otherwise responded to the call slip. 37. In frustration, Del Fosse at least twice went to Student’s classes in an attempt to convince him to come with him to attend the speech and language sessions. Student told DelFosse that it was “dumb” and refused to accompany him. DelFosse then suggested to Student that he would just come into Student’s classroom and quietly observe him there; Student also refused that suggestion. DelFosse called Mother to speak with her about his frustrations, but his call to her did not result in any change in Student’s attitude toward participating in the sessions. 38. Although both Student and Mother testified after did Michael DelFosse, neither refuted his testimony that Student refused to attend the speech and language sessions DelFosse attempted to provide to Student. The District has therefore persuasively demonstrated that it attempted to provide Student with speech and language sessions after January 5, 2007, but that Student refused to access them. 39. However, DelFosse did not begin to attempt to provide services to Student until after January 5, 2007. There is no evidence that the District provided or attempted to provide those services to Student between June 6, 2007, the date the parties stipulated that the District first agreed to provide speech and language to Student, and January 2007, when DelFosse began working at San Clemente High School. The District does not address in its closing brief Student’s contention that it failed to provide him with speech and language services as offered in the June 7, 2006 IEP as stipulated to by the parties. Nor did any District witness at hearing offer any explanation as to why the services – which were unquestionably offered – were not provided prior to January 2007. Since the District neither provided nor attempted to provide any of the 55-minute sessions, the District’s failure to do so amounted to a material failure to comply with his IEP. 40. Student, however, has failed to show that he is presently in need of speech and language services. Student contends that Barbara Pliha’s testimony supports his present need for speech and language services. In his closing brief, Student points to the fact that he received 195 hours of services from Pliha, and received services from Cathy Johnson, and made significant progress in both their programs, but that he requires additional services to continue making progress. 41. The fallacy in Student’s argument as it applies to his present need for speech and language services is that both Pliha and Johnson provided reading programs to Student: Pliha provided Lindamood-Bell programs and Johnson provided the Fast ForWord program. Neither provided other types of speech and language services. The ALJ has previously found that the District failed to implement Student’s IEP with regard to its offer of Fast ForWord sessions and, as will be elaborated below, Student is entitled to compensation for that failure. All of Student’s references are to his need for speech and language services in the nature of reading programs to help Student with his reading comprehension and decoding. Additionally, assessments administered to Student subsequent to his graduation from high school by Johnson and Blinn all address Student’s reading and comprehension abilities, not any other possible areas of speech and language services. 42. Therefore, Student has failed to substantiate his present need for speech and language services in addition to those which would be provided by providing him with a reading program such as Fast ForWord. Student has therefore failed to persuasively demonstrate that he is entitled to compensatory education in the nature of additional speech and language services for the District’s failure to provide him with speech and language sessions between June 7, 2006, and January 5, 2007. 43. At hearing, the parties stipulated that at Student’s September 28, 2006 IEP meeting, the District offered to provide Student with math tutoring three times a week. Student contends that the District failed to provide the services as promised. The District contends that it attempted to provide Student with the tutoring, but that he refused to accept one math tutor offered by the District, did not want to access the services when the District found another tutor in spring 2007, and did not show up for appointments with yet another tutor in fall 2007. 44. San Clemente High School Principal Janet Sobel accepted responsibility for finding a math tutor for Student once the services were offered at the September 28 IEP meeting. Student’s IEP team, including Mother, agreed that the District would attempt to find a District math teacher who would be willing to tutor Student after school for extra money. The team agreed that a math teacher was necessary as a tutor given Student’s deficits in math. 45. Sobel credibly testified that she felt the most appropriate tutor would be Student’s present math teacher, Paul Barrows, since he had taught Student for several semesters and was aware of Student’s learning style. Barrows attended several of Student’s IEPs; he credibly testified that the issue of his tutoring Student was brought up at one of the IEP meetings and that Sobel later contacted him to confirm that he would be willing to volunteer. Barrows readily agreed to tutor Student because he felt he best knew Student and felt that if he could work with him on a one-on-one basis, he would be able to help Student overcome his math deficits. 46. Student, however, refused to accept Barrows as a tutor because he had had a falling out with him over some classroom disciplinary issues. Although a school district is entirely permitted to choose the provider of special education services it offers to a student, and, therefore, the District here could have insisted that Barrows provide the tutoring to Student, the District agreed to find another tutor for Student when Mother indicated Student’s unwillingness to accept Barrows. 47. Sobel sent a communication to the teachers at San Clemente High School seeking volunteers to provide tutoring to Student, at the rate of $35 per hour. Other than Barrows, no one from the high school contacted her. Sobel therefore widened her search to other high schools in the District. Thereafter, a teacher from another high school contacted her and agreed to provide the tutoring. However, when Sobel contacted Mother to arrange for contact with the tutor, Mother informed her that due to the fact Mother was going to have surgery in late spring 2007, Mother preferred to wait until the Fall semester to arrange the tutoring. Mother also informed Sobel that she wanted to see if Student would pass the math portion of the CAHSEE before starting the tutoring. 48. When school started in fall 2007, the teacher who had volunteered to tutor Student in spring 2007 was no longer available. Sobel therefore made yet another search for a tutor. A third prospective tutor responded and Sobel put her in contact with Student through his Mother. The math tutor later told Sobel that Student cancelled their first session because he felt depressed; he did not show up or call to cancel the second session. After Student failed to show up for the second session, the tutor contacted Sobel and withdrew her services. 49. Neither Student nor any of his witnesses refuted the District’s evidence that the District offered at least three tutors over a period of more than a year, but that in each instance it was Student’s actions, or lack thereof, that prevented the tutoring from occurring. 50. Student has therefore not met his burden of persuasion that the District failed to materially implement his IEP by failing to provide him with math tutoring. Rather, the evidence substantially supports the District’s position that it attempted to provide the services, offering three different tutors to Student, but that in each case Student either refused the tutor offered or refused to access the services when offered. No violation of Student’s right to a FAPE occurred. 52. Student contends that the District should have offered his Mother parent counseling and training, access to accurate information (presumably about special education and Student’s specific disabilities), specialized training, and peer-to-peer support in the community in all IEPs developed during since March 26, 2006, when the relevant statute of limitations period began. Student does not specify exactly what type of counseling and/or training his Mother required. Student also contends that the District should have ensured that his Mother was a full participant in Student’s education, in school reform and in comprehensive systems change efforts. Student alleges that had Mother been offered all these services/resources, she would have understood the IEP process better and therefore might not have needed to hire an advocate to assist her. The evidence presented by Student at hearing supports his contention that the District never affirmatively offered these resources or services to Mother in Student’s IEPs. 54. Student also fails to meet his burden of proof that the District was required to offer Mother parent counseling and training in order to meet his unique needs. First, both parent counseling and training are related services which are required only if needed for a student to be able to benefit from special education. There is no requirement that a school district offer every related service available to a student; to meet its legal obligations under state and federal law, the district only needs to offer those services required by the student to benefit from his education. Student here presented no evidence that Mother needed parent counseling or training in order for Student to benefit from his education any more than he has proven a need for any other related service listed in the Education Code. Nor is there any evidence that Mother ever requested parent counseling or training from the District or posited to Student’s IEP team that these services were necessary in order for Student to receive educational benefit. Finally, Student has not presented any evidence that he lost educational benefit because of the District’s failure to offer his Mother parent counseling and training. 55. Additionally, even if she were individually entitled to receive parent counseling and training on her own behalf, Mother has failed to prove that she has such a need. Student was first found eligible for special education services in 1997. Mother admitted at hearing that she was provided with copies of her parental rights at every IEP meeting since that time. The parental rights provided to parents by the District include a reference to related services. The District therefore provided Mother with notice of her rights. Had Mother believed she had a need for the services, she was under notice of her rights and under notice of the applicable state and federal statutes, and could have requested the services. She did not ever make such a request. 56. Additionally, the ALJ also notes that in addition to having been given notice of her parental rights at all IEP meetings since Student was first found eligible for special education services, Mother has received assistance from a special education advocate since at least 2004. She has specifically received special education assistance from Dr. Burnett since either the end of Student’s eighth grade school year or the beginning of his ninth grade school year, approximately mid-2004. Mother also used the services of an attorney to file a prior due process complaint in 2005. If Mother’s advocates or attorney believed that in order to benefit from his special education Student’s unique needs required his Mother to receive training or counseling, they should have made the request on Mother’s behalf when they first began representing her. There is simply no evidence that the District was under notice that either Student or his Mother required the training and/or counseling requested, or that the failure to give it to Student has deprived him of educational benefit. 57. Further, the ALJ notes that the remedy requested by Student and Mother for the District’s failure to offer parent counseling and training to Mother is not supported by either the evidence, the circumstances, or by case law. Mother requests reimbursement for the costs of hiring Dr. Burnett as her advocate during the statute of limitations period applicable to this case. First, the ALJ does not have jurisdiction to award costs or fees to a prevailing party in a special education case. Second, there is no basis under state or federal law for the payment of an advocate’s hourly fees or costs associated with the hiring of an advocate. Finally, even assuming that Mother was entitled to parent counseling and training, and assuming that she was entitled to it within the applicable statute of limitations, she has not shown that she would be entitled to more than a compensatory award in the nature of a session or two of such counseling and/or training, or to reimbursement for more than a session or two with someone she retained specifically for the purpose of providing her with parent training and/or counseling. Dr. Burnett did not testify at hearing and Mother did not specifically describe any particular session she had with Dr. Burnett that would have been in the nature of a parent training or counseling session. Mother’s request for reimbursement appears to be an attempt to circumvent the prohibition against awarding advocate’s fees and costs in special education proceedings. Student has shown no authority to support his request and the ALJ declines to create a right not presently supported by statute or case law. 58. Student has therefore failed to show that the District denied him a FAPE by failing to offer parent counseling and/or training to Mother. 59. A procedural violation of the Individuals with Disabilities in Education Act (IDEA) may constitute a denial of FAPE when the violation impedes the child’s right to a FAPE, causes a deprivation of educational benefits, or significantly impedes the parents’ opportunity to participate in the decision making process regarding the provision of FAPE to their child. 60. A school district must give written notice to parents before it initiates or refuses a change in a student’s identification, evaluation, or educational placement. The notice must describe the action proposed or refused, explain why the district proposes or refuses to take the action, describe the documents underlying the decision, describe the factors relevant to the decision, explain why other options were rejected, and inform parents of their procedural rights with respect to the decision. 61. Student contends that the District failed to give prior written notice of the reasons why the District was refusing to implement Student’s IEP with regard to Fast ForWord, tutoring in mathematics, and/or provision of speech and language services, based upon offers of services in the IEPs dated April 6, 2006, April 26, 2006, May 26, 2006, September 28, 2006, January 5, 2007, and September 11, 2007. 62. With regard to the provision of Fast ForWord, as stated in Factual Findings 7 – 32 above, the ALJ has found that the District failed to implement Student’s IEP beginning in approximately January 2007 when it failed to pay for the Fast ForWord licensing fee for Student. As stated in Factual Findings 59 – 62 the District neither informed Mother that it would no longer provide the program nor informed her of its intention to pay the licensing fee. Mother therefore had no way of knowing what the status of the provision of the program was and whether Student had a right to those services. Without that information, Student was unable to access the Fast ForWord program, and was therefore denied the educational benefit that his IEP acknowledged at the November 6, 2006 IEP meeting he continued to need. The District’s failure to provide Student’s Mother with this prior written notice, either through an IEP meeting or by other written communication, therefore denied Student a FAPE. 63. As stated in Factual Findings 33 – 42, the ALJ has found that the District did not provide speech and language services to Student from June 7, 2006, until January 5, 2007, although the District had specifically agreed to provide them. The evidence substantiates Student’s contention that Mother was never informed by the District that it would not provide the services as offered, and was therefore never given any explanation as to why the District simply neglected to arrange for Student to receive the speech and language services to which the District had committed. Since Mother never received this information, she was prevented from discussing the repercussions of failing to provide Student with the services and prevented from resolving disagreements with regard to the services she believed Student needed. Mother’s participation in the IEP process with regard to the provision to Student of speech and language services was therefore impeded, resulting in a denial to Student of a FAPE. 64. However, as the ALJ has found in Factual Findings 43 – 50, the District never failed to implement Student’s IEPs with regard to the provision to him of one-on-one math tutoring. Since the District attempted to deliver the services, there was no failure of implementation that might have required the District to provide prior written notice to Mother. Student has therefore failed to meet his burden of persuasion that the District was required to give Mother prior written notice of the reasons why it was not going to provide Student with math tutoring. 65. The IEP team must include specified participants, including an individual who can interpret the instructional implications of assessment results. This individual may be one of the student’s regular education teachers, one of his special education teachers, a district administrator, or other person having knowledge or expertise regarding the student; it need not be the individual who assessed the student or wrote the assessment report. If such an individual was not present at an IEP meeting, a harmless error analysis is applied to the failure to secure his or her attendance at the meeting. If harmless error is not found, the failure of a school district to ensure the presence of an appropriate individual to interpret the educational implications of assessment results will result in a finding that the district substantively denied a FAPE to the student. 66. Student alleges that the District failed to have an appropriate person present at his April 6, 2006 IEP team meeting who could interpret Maria Abramson’s assessment report. Student contends that none of the educators or administrators present at the meeting was qualified or able to interpret the report and answer questions regarding it. The IEP team convened this meeting specifically to review Abramson’s report. 67. Present at the April 6, 2006 IEP meeting were Mother and her advocate, speech pathologist Barbara Pliha, literacy specialist Susan Maass, speech pathologist James Blinn, San Clemente High School Principal Janet Sobel, and Student’s case manager, Margaret Flood. Audiologist Abramson was not present. The IEP notes for the meeting do not indicate why she was not present either in person or by telephone nor did anyone at hearing give testimony as to whether Abramson was ever invited to the meeting. 68. Student contends that no one present at this IEP meeting was qualified to present and/or interpret Abramson’s report. He contends that it was improper for speech pathologist Blinn to have presented the report since he is not an audiologist and therefore, is prohibited from interpreting an audiologist’s report by the Code of Ethics of the American Speech, Language and Hearing Association (ASLHA), which issued him his certificate of clinical competence in speech pathology. 69. Barbara Pliha testified that ASLHA’s Code of Ethics prohibited a speech pathologist such as herself from interpreting an audiologist’s report. However, although Ms. Pliha has vast amounts of experience in her field and was an extremely credible witness, her position regarding a speech pathologist’s ability to discuss and/or interpret an audiologist’s report was contradicted both by District speech pathologist and expert Blinn, District speech pathologist Michael DelFosse, and District psychologist Dr. Loren O’Connor, all of whom were credible witnesses. Student’s witness speech pathologist Cathy Johnson also concurred that she was qualified to review, interpret and present an audiology report. Blinn, DelFosse, and Johnson credibly testified that as speech pathologists they are qualified to review an audiologist’s report, to draw conclusions based upon the report, and to make recommendations based upon the information in it. Indeed, Pliha did that herself in referencing Abramson’s assessment of Student in her speech and language assessment of Student as well as her post-academic assessment of him. 70. Additionally, a review of ASLHA’s Code of Ethics reveals that nowhere does it prohibit a speech and language pathologist from reviewing, discussing, or even interpreting an audiologist’s report. There is a code which directs that ASHLA members or holders of certificates of competency issued by ASLHA shall only engage in those aspects of their profession within the realm of their competence (code II – B) and another which prohibits such individuals from misrepresenting their credentials, competence, education, training, experience, or scholarly or research contributions (code III-A), neither of which address the impropriety of reviewing, interpreting, or making recommendations for services based on an audiologist’s report. 71. Further, even if ASLHA prohibited a speech pathologist from making recommendations based upon, or from reviewing or interpreting, an audiologist’s report, Student has not presented any authority to substantiate his position that having Blinn present Abramson’s report to the IEP team violated his right to a FAPE. First, Blinn was extremely qualified to present the report. In addition to his training and years of experience as a speech pathologist, he also minored in audiology at college and has reviewed many audiology reports such as the one written by Abramson. There is simply no evidence in the record that Blinn was not able to review the report, discuss its recommendations and implications, and assist the IEP team in determining which services recommended in the report were necessary for Student to receive a FAPE. Under the totality of these circumstances, it was not a procedural violation to have Blinn present Abramson’s report at the April 6, 2006 IEP meeting. 72. However, even if there had been a procedural violation, Student has failed to demonstrate any substantive loss that resulted from the District’s failure to assure that a more qualified person, such as an audiologist, was present at the April 6, 2006 IEP meeting. The evidence presented at hearing indicates that the main issue regarding Abramson’s report which concerned Mother was Abramson’s recommendation that Student receive the Fast ForWord program. The District adopted that recommendation when it offered the program to Student at the June 7, 2006 IEP meeting. Student has presented no evidence to show that his right to a FAPE was impeded, that Mother was significantly prevented from participating in the IEP process, or that Student suffered a deprivation of educational benefit by the fact that Blinn presented Abramson’s report at this IEP meeting. The District’s reliance on Blinn to present Abramson’s report to the IEP team therefore did not deny Student a FAPE. 73. The IEP team must also include a district representative who, in pertinent part, is qualified to provide, or supervise the provision of, specially designed instruction to meet the unique needs of the student in question. If such an administrator was not present at an IEP meeting, a harmless error analysis is applied to the failure to secure his or her attendance at the meeting. If harmless error is not found, the failure of a school district to ensure the presence of an appropriate administrator will result in a finding that the district substantively denied a FAPE to the student. 74. Student contends that no district representative with authority to approve his request for the Fast ForWord program was present at the May 26, 2006 IEP meeting in violation of state and federal law. He therefore contends that he was denied a FAPE. Student’s contention is without merit. The language of the pertinent state and federal statutes and regulations do not require that someone with the authority to “approve” services be present. The only requirement is that a district representative be present who is capable of providing, or supervising the provision of, the related services the IEP itself has approved for the Student. 75. Speech pathologist James Blinn was the designated District representative at this IEP meeting. School Principal Janet Sobel generally filled that role but she was not available that day and Blinn substituted for her. It is without question that he informed the IEP team that he was not in a position to approve Fast ForWord at that meeting. 76. However, Blinn was more than qualified to supervise the provision of the services the IEP determined were necessary to meet Student’s unique needs. Blinn has over 30 years of experience as a speech pathologist in California. More importantly, the majority of those 30 years has been spent as a Department Coordinator, a Special Education Department Program Specialist, a Special Education Coordinator, and from 2002 to the present, as a Director of Special Services for the District. Therefore, Student has failed to present persuasive evidence that the District failed to have an appropriate administrator present at the May 26, 2006 IEP meeting. 78. A student’s progress on individualized IEP goals must be measured and reported to the parent. An IEP must include a statement of how the student’s progress towards the annual goals will be measured and how the student’s parents will be regularly informed of the student’s progress towards those goals. The failure to do so is a procedural violation of the IDEA. 79. Student contends that the District failed to provide Mother with progress reports on his goals from March 26, 2006, to the present. He contends that Mother was entitled to receive a report on his progress at least as often as the rest of the general education student population, but that she did not. 80. It is unclear what type of progress reports Student contends the District failed to provide to Mother. There is no evidence that Student’s progress toward his goals or progress in school was not reviewed at his IEP meetings. Student’s IEP team convened at least five times in 2006 and at least three times in 2007. At the majority of the meetings his IEP team reviewed Student’s present levels of performance and progress on prior goals. At several of the meetings, Student’s teachers reviewed his academic progress in their classes. 81. Additionally, pursuant to the 2006 federal regulations, a school district could inform parents of a student’s progress on IEP goals through such means as periodic report cards. There is no contention that Student failed to receive formal report cards of his grades at least every school semester, as did the general student population, and no contention that Mother did not receive notice of those grades. Student contends that the District’s failure to provide a separate written record of Student’s progress towards his goals prevented Mother from meaningfully participating in the IEPs and Student’s special education program. The law, however, is to the contrary. A parent has meaningfully participated in the development of an IEP when she is informed of her child’s problems, attends the IEP, expresses her disagreement regarding the IEP team’s conclusions and requests revisions in the IEP. There is no question that Mother extensively and completely participated in Student’s IEP process. Although Mother clearly desired to be more thoroughly involved in Student’s progress, none of the annual IEPs contained any special instructions which required the District to report to Mother on a more frequent basis than regular report cards and through the progress reports given by Student’s teachers at his IEP meetings. Student has therefore failed to sustain his burden of proof that the District denied him a FAPE by failing to provide additional progress reports to Mother. 82. Compensatory education is a permissible remedy where a child has been denied a FAPE and proves that he or she needs additional education or services to make up for education and related services the child was denied. Compensatory education is an equitable remedy to ensure that a child is appropriately educated within the meaning of the IDEA. Remedies may be limited if a parent’s actions are found to be unreasonable or where a weighing of the evidence does not support awarding of a particular remedy. 83. The ALJ has found that Student met his burden of proof that the District denied him a FAPE by failing to implement his IEP after approximately January 2007 by failing to provide him with the second set of 30 sessions of the Fast ForWord program as offered in Student’s IEPs. The weight of the evidence also supports Student’s contention that the District failed to give Mother prior written notice of its reasons for failing to deliver the program or otherwise inform her if and how the Fast ForWord licensing fee would be paid to the Learning Center. The evidence also supports Student’s contention that he continues to have significant auditory processing deficits and continues to read somewhere at the fifth grade level. 84. There is no evidence in the record which addresses what Student’s auditory processing and reading needs would have been at the time of the hearing had he received the full complement of Fast ForWord sessions as provided by his IEPs. However, the evidence does support the finding that Student had significant auditory processing and reading deficits in January 2007 when he should have begun the second set of Fast ForWord sessions, that he continued to suffer from those deficits at least at the time of the hearing in this case. Therefore, the ALJ finds it appropriate to order that the District provide Student with the 30 Fast ForWord sessions that Student never received. 85. The District spent considerable time at hearing attempting to show that Student no longer needed the Fast ForWord program or that his particular auditory processing deficit now would not be addressed by the Fast ForWord program. The District offered an assessment administered to Student by speech pathologist James Blinn just months before the due process hearing as evidence of Student’s present abilities; Blinn’s assessment results basically showed Student functioning at an average range on the tests administered. However, Blinn himself admitted at hearing that because he was not able to administer a full assessment to Student (Student’s advocate did not allow Blinn to complete the testing) he was unable to prepare an assessment report due to lack of data to substantiate a report. The District also points to the fact that testing of Student by Johnson just prior to the hearing in this case also was incomplete and therefore unreliable to support Student’s position that the assessment demonstrated he had a continuing need for auditory processing intervention, that his processing deficit continues to be as severe as it was previously, or that Student would presently benefit from Fast ForWord. However, the result is that neither the District nor the Student could present reliable, complete recent assessments that concretely indicated his present needs. 86. Student however was recently given a placement test by Saddleback College as a prerequisite to enrolling in community college classes. Student’s very low scores on both the mathematics and language arts tests placed him at the most basic level of remedial classes offered at the college. Student is having considerable difficulty passing the remedial courses in which he is presently enrolled. Additionally, both Pliha and Johnson credibly testified that Student continued to require reading intervention if he was going to advance beyond the fifth grade level at which he was presently reading. 87. The District also presented evidence that Student’s underlying processing deficit is not, after all, susceptible to improvement through a program such as Fast ForWord. However, the District’s argument is somewhat disingenuous in light of the fact that it was his IEP team, composed primarily of District staff, who ultimately agreed with Pliha’s and Abramson’s recommendations that Student would benefit from Fast ForWord. District speech pathologist Blinn testified that he did not disagree with any of Abramson’s finding or recommendations or those made by Pliha when he reviewed them at the IEP meetings. Significantly, at the November 6, 2006 IEP team meeting, Student’s IEP team specifically found that he had benefited from his first 30 sessions of Fast ForWord and that he should therefore receive the second set of 30 sessions offered by the District. The ALJ thus finds that there is sufficient evidence in the record to support a finding that Student would benefit from receiving the 30 sessions of Fast ForWord that be failed to receive as provided for in his IEPs. 88. Finally, the Student asserts that even if Student is eligible for compensatory education in the form of reading intervention or support, the District can provide supports for him through its Adult Education program. Carol Weinell, a District resource specialist assigned to that program, testified to the supports given to Students who attend it. However, the program which Weinell oversees does not provide the type of reading support or intervention that Student requires. It is designed to support students who are approximately 18 to 22 years old, who are eligible for special education, and who have not graduated from high school. The program is designed to assist those students in obtaining skills that will permit them to successfully transition from high school to the adult world. The program does not provide any one-on-one specialized reading programs and does not serve students who have graduated from high school. The Adult Education program also has another division which provides supports to enable young adults who never received a high school diploma to either pass the CAHSEE or to obtain a general education diploma (GED) by offering reading and math supports using content curriculum and teaching strategies much as would a resource specialist program class in a high school. However, no specific reading intervention program is available through this aspect of the Adult Education program. The District has thus failed to demonstrate that its Adult Education program can provide the type of compensatory education which Student requires. 89. The evidence supports Student’s contention that he has at least average cognitive abilities and that he should have been able, with proper educational support, to progress beyond the fifth grade level in reading. Therefore, to remedy the violations of FAPE as determined in this decision, the ALJ shall order the District to provide Student with the 30 sessions of Fast ForWord that he should have received pursuant to his IEPs. Student shall be ordered to complete the session within six months of the date the District serves Student with notice that it has entered into a contract with the Learning Center, or if the Learning Center is not available, with another appropriate NPA. 2. Student contends that the District materially failed to implement his IEPs by failing to provide him with the full complement of Fast ForWord services it offered to him, failing to provide him with speech and language services, and failing to provide him with math tutoring, all of which the District admits were offered to Student in his IEPs. The District contends that it never failed to implement the IEPs. Rather, it argues that Student’s actions alone prevented full implementation of the services at issue. In the alternative, the District asserts that even if it denied Student a FAPE he is not entitled to any compensatory education because his passing the CAHSEE and his graduation from high school demonstrate he did not require all the services offered in order to receive educational benefit. 9. Here, Student has met his burden of proof that the District failed to implement his IEP when it failed to provide him with the second set of 30 sessions of Fast ForWord after it contracted to do so with Cathy Johnson’s Learning Center and that the failure was material. Student was offered 60 sessions of Fast ForWord. His need for it was supported by both Pliha and Abramson. Student’s IEP team confirmed on November 6, 2006, that he had benefited from the 30 sessions of Fast ForWord that he had already received but that he also continued to need the additional 30 sessions that had been offered. By failing to contract to pay the Fast ForWord licensing fee, the District deprived Student of a material portion of the reading program that IEP determined he needed in order to benefit from his education. 10. The District’s argument that it should be relieved of liability because Student graduated from high school and passed the CAHSEE is unpersuasive. First, as discussed above, Van Duyn instructs that a child does not have to suffer a demonstrable harm in order to sustain his burden of proof that he was denied services mandated by his IEP. Second, the District’s reliance on the case of Student W. v. Puyallup Sch. Dist. (9th Cir. 1994) 31 F.3d 1489 (hereafter Puyallup), is misplaced. Although graduation of a student is a factor in determining whether a Student received FAPE, the Supreme Court specifically declined to find in Rowley that every disabled child who advances from grade to grade in a regular public school system is automatically receiving a FAPE. (Rowley, supra, 458 U.S. 176 at p. 203.) Subsequently, in Zobrest v. Catalina Foothills School Dist. (1993) 509 U.S. 1, 4 [113 S. Ct. 2462] (hereafter Zobrest) the Supreme Court stated a claim for reimbursement of expenses incurred while the student was attending high school presented a continuing controversy despite the student’s graduation from high school. 11. The instant case is remarkably similar to that of San Dieguito Union High School District v. Jeffrey Guray-Jacobs (S.D.Calif. 2005) 44 IDELR 189, 105 LRP 56315. There, the student filed a due process request about one month prior to his graduation from high school. He alleged that he had been denied a FAPE during high school by several procedural violations committed by the school district which the student contended denied him a FAPE because the violations resulted in a loss of educational opportunity. He also alleged that the school district had failed to develop appropriate IEPs for him and had failed to provide him with adequate transition services. As a result of these alleged violations, the student sought compensatory education and reimbursement from the district. The student subsequently graduated from high school. The student thereafter had a hearing in front of the Special Education Hearing Office (the predecessor to OAH) where a Hearing Officer granted student his requested relief, including compensatory education. The district appealed the decision to the United States District Court for the Southern District of California. Citing Rowley and Zobrest, as well as circuit court cases, the District Court found that graduation from high school was not a per se indication that a student had received a FAPE. The court specifically found that under the Ninth Circuit’s ruling in Puyallup, graduation from high school was only one of many factors to consider when determining whether compensatory education was justified after considering all equitable factors. The District Court stressed that the distinction was that while a student’s right to receive educational services pursuant to the IDEA terminates upon high school graduation his right to a remedy for a district’s failure to provide those services while he attended high school survives graduation. The District Court then found that the Hearing Officer’s award of compensatory education was supported by a preponderance of the evidence. 12. Based upon the Factual Findings in this Decision, and more particularly, Factual Findings 2 – 5, 7 – 32 and 82 – 89, and Conclusions of Law 2 – 11, Student is entitled to an order for compensatory education. Student has proven by a preponderance of the evidence that the District denied him a FAPE by its failure to implement his IEP with regard to the Fast ForWord program and its failure to provide Mother with prior written notice of the reasons it was not providing Student with all sessions of the program as directed by his IEPs. 13. Student has requested that he be provided with compensatory education for three hours a day for a period of two years. However, Student has failed to provide any legal support for his position that he is entitled to receive an award of compensatory education far in excess of the services that Student failed to receive when the District did not fully implement his IEPs. 14. As stated in Factual Findings 33 – 42, Student has failed to meet his burden of proof in demonstrating that he is entitled to a separate award of compensatory education due to the failure of the District to provide him with speech and language services from June 6, 2006, to January 5, 2007. As stated in Factual Findings 40 – 42, Student has failed to demonstrate that he requires any type of speech and language services other than access to a reading intervention program such as Fast ForWord to address his processing deficits. Nor has Student shown that the District failed to implement his IEPs by not providing him with math tutoring. Since Student did not meet his burden of persuasion as contended that the District failed to implement his IEPs with regard to math tutoring, Student is not entitled to any compensatory education in the area of math, irrespective of whether Student continues to have deficits in that area. 15. Therefore, as stated in Factual Findings 32 and 83 – 89, the order for relief provides Student with compensatory education in the form of 30 sessions of Fast ForWord, to be provided by the Learning Center or other appropriate NPA, as ordered below. 17. Based upon Factual Findings 51 – 58 and Conclusions of Law 16 Student has failed to meet his burden of proof that the District was required to offer Mother parent training and/or counseling. As stated in Factual Finding 51 – 58, Student has not shown that he needed for his Mother to receive training and/or counseling in order for him to benefit from his special education, and has failed to demonstrate that he has lost any such educational benefit because Mother did not receive those services. Additionally, the evidence at hearing established that Mother had received a copy of her parental rights at every IEP meeting she attended since Student was found eligible for special education and that Mother had been advised by special education advocates and by an attorney years before the statute of limitations began to run in this case. The evidence also indicates that neither Mother nor her legal representatives ever requested that the District provide her with parent counseling or training. Therefore, even assuming Mother had an individual right to receive parent training or counseling, she has failed to prove that she required it. The District therefore did not deny Student a FAPE by failing to offer his Mother parent training and/or counseling since March 26, 2006, when the statute of limitations began to run in this case. 20. Student contends that the District failed to give Mother prior written notice of its reasons for failing to implement Student’s IEPs with regard to the provision of the Fast ForWord reading program, speech and language services, and one-on-one math tutoring. 21. As stated in Factual Findings 59 – 62, Student has met his burden of proof that the District did not provide prior written notice to Mother either regarding its decision not to pay the Fast ForWord licensing fees, or, alternatively, its conversation with Johnson informing her that if Student showed up for his reading sessions, the District would pay the licensing fee. Student has shown that the District’s failure to do so impeded his Mother’s ability to participate in the IEP process, and therefore denied Student a FAPE. 26. As stated in Conclusion of Law 24, Student’s IEP team must also include a district representative who is qualified to provide, or supervise the provision of, specially designed instruction to meet the unique needs of individuals with exceptional needs. Student contends that he was denied a FAPE because James Blinn, who substituted for Principal Sobel at the May 26, 2006 IEP team meeting, stated that he was not in a position to approve provision of the Fast ForWord program to Student at the time of the meeting. 30. As stated in Factual Findings 78 – 81, Student’s IEP team reviewed his progress on goals, his present levels of performance, and his academic progress in his classes, at many of his numerous IEP meetings during 2006 and 2007. In addition, Student received report cards at least as often as did the general education student population and there is no evidence that these report cards were not conveyed to Mother. Student has therefore failed to meet his burden that the District failed to provide his Mother with reports of his progress or was required to provide a different type or more numerous reports than it did. (Factual Findings 78 – 81; Conclusions of Law 18 and 28 – 29. 32. Student is entitled to relief based upon the ALJ’s finding that the District failed to implement Student’s IEP with regard to the provision of the second set of 30 sessions of Fast ForWord that he was offered by the District, as well as the District’s failure to give Mother prior written notice of the reasons for failing to implement that portion of Student’s IEP. Student has requested compensatory services for two years, far in excess of what the District offered but failed to implement. Student has provided no support for the proposition that a student is entitled to services in excess of those he was originally found to need, or to services that will maximize his ability to successfully succeed in college. To the contrary, Rowley stands for the proposition that a school district is not obligated to maximize a student’s potential. If a district is not required to maximize a student’s potential in the initial provision of special education services, it cannot be found to be obligated to maximize a student’s potential as a compensatory remedy for a FAPE violation. 33. Considering the equities of the case, including the fact that the ALJ has found that the District committed two violations of Student’s rights relative to the provision of the Fast ForWord program, and considering the fact that Student continues to read only at approximately a fifth grade level, the ALJ finds that Student is entitled to receive the 30 sessions of Fast ForWord that the District failed to assure he received pursuant to his June 7, 2006 IEP and his IEPs subsequent to that date. Student is also entitled to mileage costs from his home to the NPA where he receives the Fast ForWord instruction as had been offered in his IEPs. Finally, given Student’s history of failing to access services, the ALJ shall direct that Student be given six months from the date the District serves him with a copy of the fully executed contract with the Learning Center, or other appropriate NPA as described in the following Order, in order to receive the Fast ForWord instruction. Student shall forfeit any sessions not accessed within those six months. 1. Within 45 days of the date of this Decision, the District shall enter into a contract with Cathy Johnson’s Learning Center to provide Student with 30 sessions of Fast ForWord training. The contract shall include payment for the cost of the Fast ForWord licensing fee in addition to the hourly cost for all 30 sessions. If the Learning Center cannot or will not provide the services, the District shall contract with another NPA qualified to provide the Fast ForWord program that is located no farther than 30 miles from Student’s present place of residence. 2. The District shall reimburse Student for the cost of his mileage between his present home and the Learning Center, or other appropriate NPA if the Learning Center is not available, pursuant to standard District practices for the reimbursement of mileage expenses. 3. The timing of the delivery of the services above shall be coordinated at the discretion of Student and the NPA. 4. Student shall forfeit any sessions he has not accessed within six months from the date the District serves him with a copy of the fully executed contract with the Learning Center, or other appropriate NPA as described in paragraph 1 of this Order. 5. All other requests for relief are denied. Education Code section 56507, subdivision (d), requires that the hearing decision indicate the extent to which each party has prevailed on each issue heard and decided. Student fully prevailed on Issue 1(A) and partially prevailed on Issues 1(B) and 3(A). The District prevailed on all other issues heard and decided.